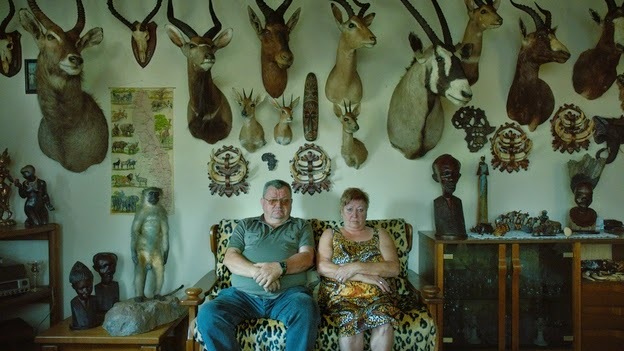 Ulrich Seidl's IN THE BASEMENT is a slippery darkly comic movie satirising the popular image of Austrians post-Fritzl - as ex-nazis who do weird things in the basement. It's presented as a documentary but is clearly a mockumentary that sends up the outside world's most absurd fears but each time with breathtaking technical poise that dares us to take it seriously. It's a superb and short cinematic joke but ultimately tells us something provocative about the prejudices we may hold about Austrians, and the prejudices Austrians may hold about themselves. IN THE BASEMENT aka IM KELLER has a running time of 85 minutes.